The premiere episode! 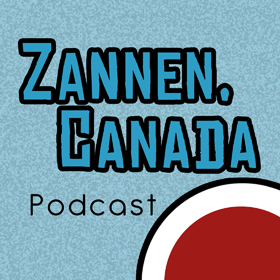 This is the first of two roundtable discussions looking back at anime on Canadian TV, musing about some missed opportunities, and speculating about what the future may hold. 02:40 - Some fond reflections of anime on Canadian broadcasters. Some appreciation of Witch Hunter Robin, weird movies on SPACE, and lots of Sailor Moon. 37:00 - Some of the biggest missed opportunities. and many tears shed for CHUM. 55:55 - Hopes or expectations for the future of anime on TV. Quite a bit of skepticism, but maybe there's hope for Attack on Titan and Sailor Moon? Emily: Twitter | Moon Chase! Special thanks to Karl Olson both for the theme song and for production assistance on this first episode. Check out his music at Ultraklystron.com.